As many people know, vinegar is a key ingredient for many homemade cleaning products. But the smell of vinegar can be overwhelming. Sara of My Merry Messy Life decided to tackle this problem by making a citrus-infused vinegar. Now her vinegar smells like oranges, lemons or limes! How neat is that? The recipe is extremely easy with just 2 ingredients. 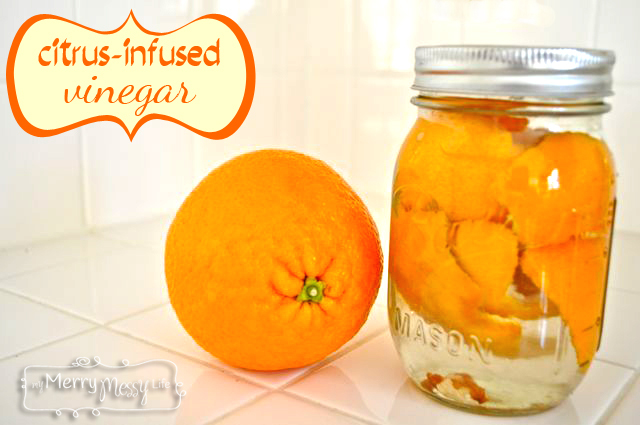 Click on the Homemade Citrus-Infused Vinegar for Green Cleaning link below to get Sara’s recipe.